You do realise all tech trees start with cruisers? EDIT: Sorry, forgot about the Russians. 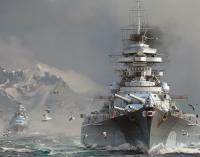 Also they need the cruisers first so they can put battleships in later beacuse all BB lines lead out of tier 3 cruisers. You should probably not get close. Yea I just finished grinding the Furutaka and it felt like I was bottom tier quite alot, but I seemed to do better in tier 7 games. Some people just don't understand the tactical benefits of a moving airfield. use the karma wow at last what are u waiting for? I'm done with you. Back to Deus Ex I guess. No morons like you in it. Maybe they aren't included beacuse they aren't battleships? Oh, ups. At first I understood your comment, but then I overthought it. I'm not worried about my karma being bellow 0 and English isn't my native language either but you could atleast put some effort into it. It is the English speaking forum. Infact I would love to have my karma bellow zero as long as it isn't a Mitsubishi. And stop derailing your own thread to stats beacuse you can't stand being wrong. Savvy? But German tanks aren't crap in WoT. What the [edited] are you on about? I never said they lie. However they are irrelevant and your suggestion is as bad as your spelling. Amount of battles played is irrelevant. In online gaming there will always be pople who will abuse the system. You do realise some people wouldn't be able to play ranked out of pure spite (go to hell for winning), stupidity of others (OMG cheater you penetrated my broadside citadel)? Edit: Did I just feed a troll? For torpedo protection is the smaller or bigger number better?